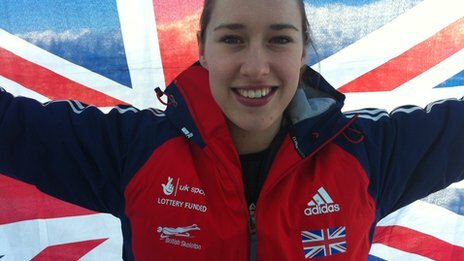 It is a fantastic start to 2012 for Lizzy Yarnold, who just claimed gold at the Skeleton Junior Work Championships which took place in Innsbruck, Austria. She won her first senior World Cup event last week, in just her second senior appearance, not bad for the age of 23. “It feels amazing, I knew the competition would be tight and everyone brought their A-game,” said Yarnold to the BBC..
Lizzy led by just 0.07 in her first round, but finished with her overall time of one minute and 49.50 seconds meant victory over Olga Potylisina of Russia. “On the first run I actually clocked 121 kilometres per hour, which is my fastest on this track, so I knew things were going well for me from the first run and I was just so pleased to replicate it from the second run,” Yarnold told BBC Sport.